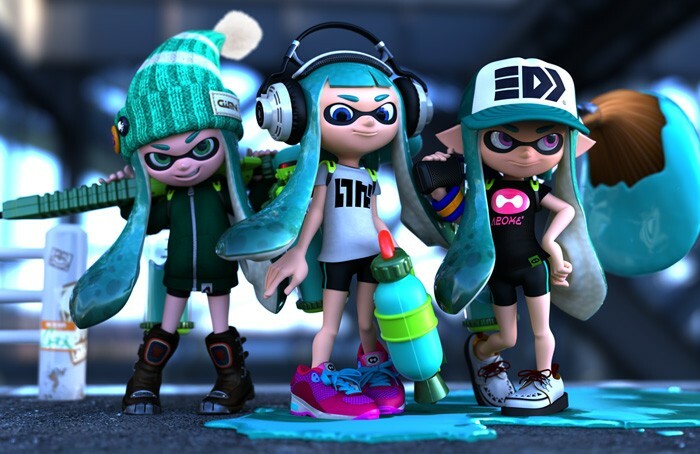 What does Splatoon, a paid game for consoles have to do with mobile free to play? Well, you can find inspiration and clever design in any medium. Just so happens I’m a massive fanboy of Nintendo, and after playing their game for months it was inspiring to spot some really interesting design bits that can be applied to any free-to-play game. Just to give you some background, Splatoon is a multiplayer 3rd person shooter for Wii U.
Splatoon of course isn’t just your run of the mill shooter however. Nintendo re-invented this genre from the ground up. The focus isn’t on kills, instead it is on covering the arena with as much of your team’s colour as possible. Kills can help slow down the opposition, but it is more about controlling territory than it is about camping for kills. As a result the game feels much more casual for players that aren’t interested in getting headshots, yet strategically deep for players that want to compete. The core gameplay aside though, Nintendo did something I don’t think many designers expected. They built a masterful metagame outside the battle which drives strong long term retention. Instead of just taking the tried and true Call of Duty perk & leveling system, they’ve built something that feels great and keeps players coming back. This is something that all F2P games strive for. The part that binds the entire metagame together for Splatoon is the clothes. Nintendo’s design of how players get clothes, unlock clothes and level up clothes makes this game work. It makes this game last. Nintendo could have decided to go with the tried and true method that many shooters and skill based games go with. 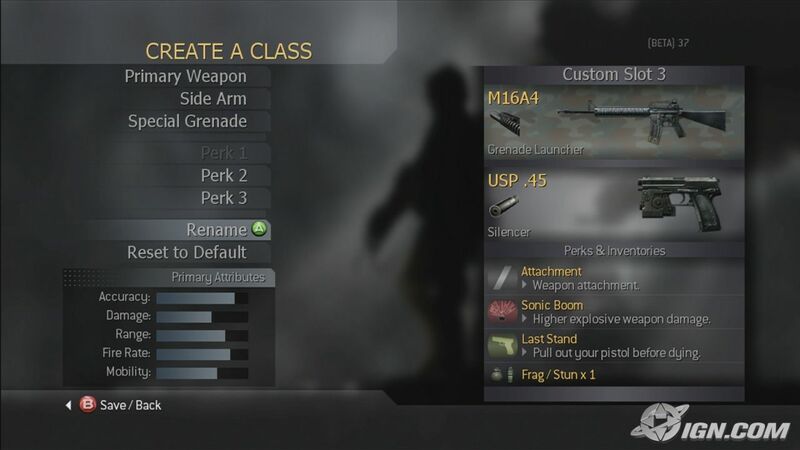 Call of Duty pioneered a system in 2007 which many online focused games have used since. Players gain levels by playing games and gaining XP. Levels unlock new guns, new perks and new gadgets to play with in the multiplayer game. As you progress up the levels you’re rewarded with more options to choose from. This system is simple and effective, which is why most multiplayer games have used this method over and over. The original system that everyone uses. Levels unlock new options for the player. But this Call of Duty system also has its disadvantages. Each player unlocks equipment and upgrades in the exact same way. So while it allows players complete flexibility in choosing their loadout, there’s very little choice in the grind. Players just seek to optimize their XP growth. Splatoon approached this in a completely different way. 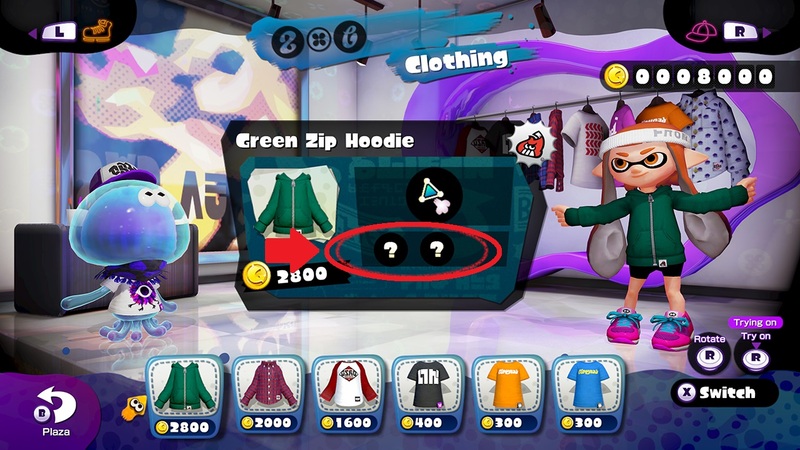 Splatoon instead ties perks and abilities to clothes. Instead of players being able to freely decide which perks they want, players need to choose clothes, upgrade them, and hope that they contain the perks and abilities that they want. Each piece of clothing has random abilities that you must discover by playing matches with the item equipped. On the surface this isn’t a massive difference from most MMOs or Multiplayer games. Some games decide to tie aesthetics to special abilities in a game. The key difference that Nintendo makes is that the abilities of a new item are random. When you buy a new piece of clothing, only one perk is shown. The remaining perks are slowly discovered the more you play with the item. The result is that this system feels like each piece of clothing is like a trading card booster pack — that you slowly open the more you play the game. This means in theory buying multiple of the exact same pair of shoes can result in different perks awarded. This system results in players opting in to grinding for the gear that both looks good on their character and has the abilities which work well with their play style. This combination makes for a very powerful long term retention driver. What’s important about this system is that the abilities are designed and balanced properly so that there is no set of abilities that dominate over all others. A must in any skill-based PvP game. Each ability benefits different play types equally. Because there is no dominant play style, players are more likely to experiment. Players naturally will experiment with different perks, seek out cooler clothing, and as a result opt-in to playing with a ton of clothes that they normally wouldn’t bother with. Just in efforts to discover new abilities and experiment with different perks. 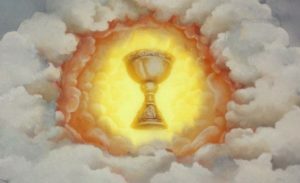 Just like Hearthstone, or any game with a strong meta-game balance, there should not be a dominant strategy. The more intrigue that goes into players debating over the optimal strategy, the more likely that players at the high level will be happy to experiment and try out new builds. Nintendo could have simply shown all abilities on the item from the point of purchase. Because they chose both to hide the abilities and force the player to play to discover them, they created a strong drive to keep playing. F2P designers should seek to find similar systems in their own games. In any loot-based game or gacha-style system, do you need to give away all information about an item from the start? Can you ask the player to play before they discover any special abilities? By asking the player to play instead of immediately get the benefit, you’ve asked them to invest in your item. Just as psychology teaches us, by making the player work for the benefits, they are more likely to find higher value in the outcome. They will be more likely to “grind” (level up) multiple versions of the same item to get the benefits they want. They will be more likely to feel really smart when they’ve lucked out and found an item that randomly had a unique ability. This will build investment in the player and drive a long lasting metagame. As a result Splatoon’s meta game is a longer lasting system than Call of Duty’s, despite having less perks, less guns and more casual gameplay. 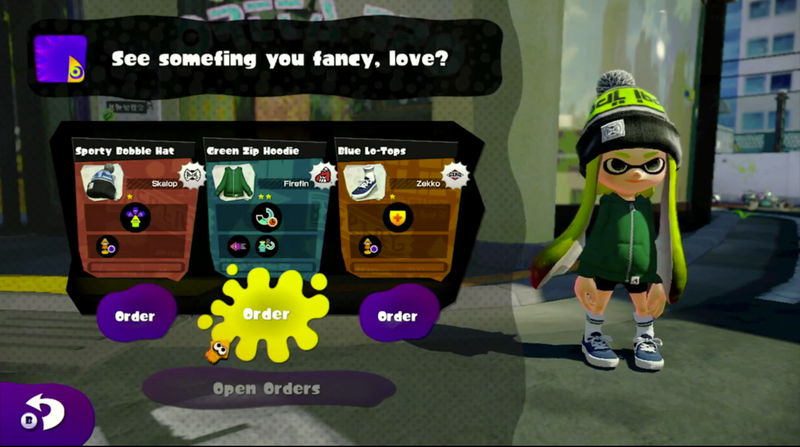 The second interesting system in Splatoon is the clothes ordering queue. Now that you know why clothes are important and why players happily grind for them, there’s an additional system which drives players back to the game. Players in Splatoon can walk around the lobby area and see different avatars from around the world. You can walk up to anyone and see their clothes, which perks are on them, and how cool they look. This is a good system for driving desire (“I want that hat! With those abilities!”). Nintendo doesn’t stop there though — it also allows players to order clothes they see from other players. So if you really like that hat, order it! Your queue is only filled once per day. Spyke will retrieve the item for you, but with some hidden abilities. But ordering is not immediate. 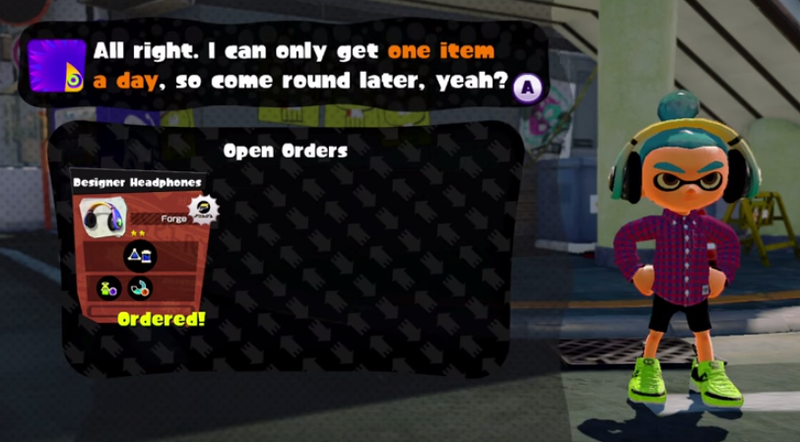 Instead Spyke (a character which you order from) needs some time to get the item. To order you have to add it to your queue. An item from your queue is delivered once per day. When that day is over, if you haven’t purchased it, the item is gone. The next day you return the next item in your queue is available. When you arrive the following day, you’ve committed to purchasing this item within the time limit. You ordered it! If you don’t come back to the game at all that day, the item is lost off the queue. Again, only you are to blame. You opted-in to this purchase window. 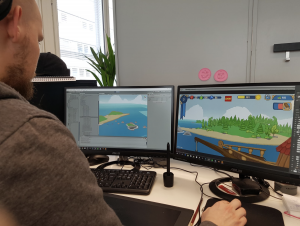 It builds commitment in the player: The player is now committed to come back to purchase the item, and to play the game enough to be able to purchase the item in the time it is available. These 3 ingredients make for a very compelling F2P mechanic for both retention and monetization. 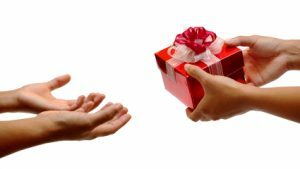 This can be applied to any game that has a wide variety of items and gear to give away. Characters in Contest of Champions, Gear in Fallout Shelter, or maybe even cards in Hearthstone. Having an order queue which is filled on a daily basis can be a strong daily session driver. It drives strong commitment, feels natural, and feels fair. Splatoon is a very interesting game. If you have a chance to play it, I highly recommend it. These 2 key systems that can be applied to many F2P games to drive what’s most important: long term retention.